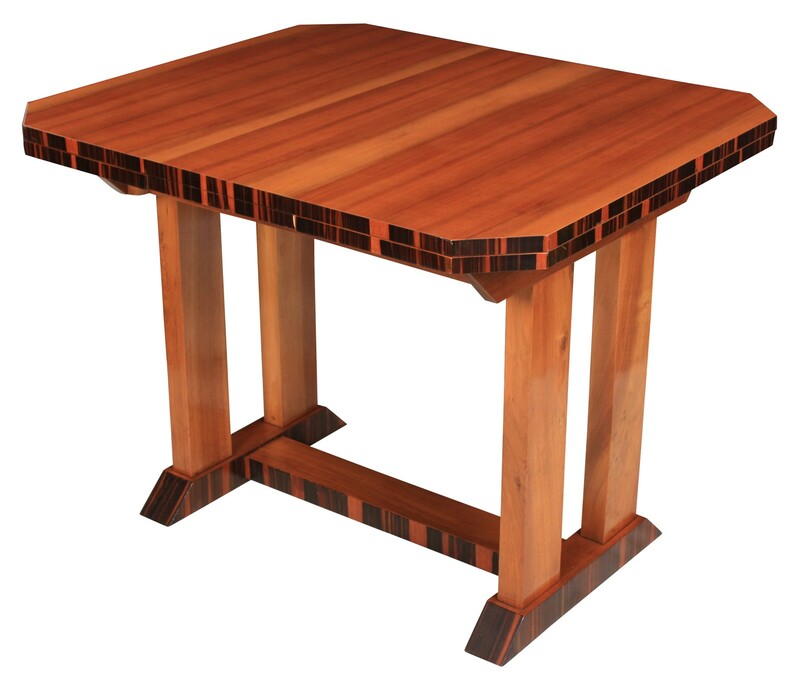 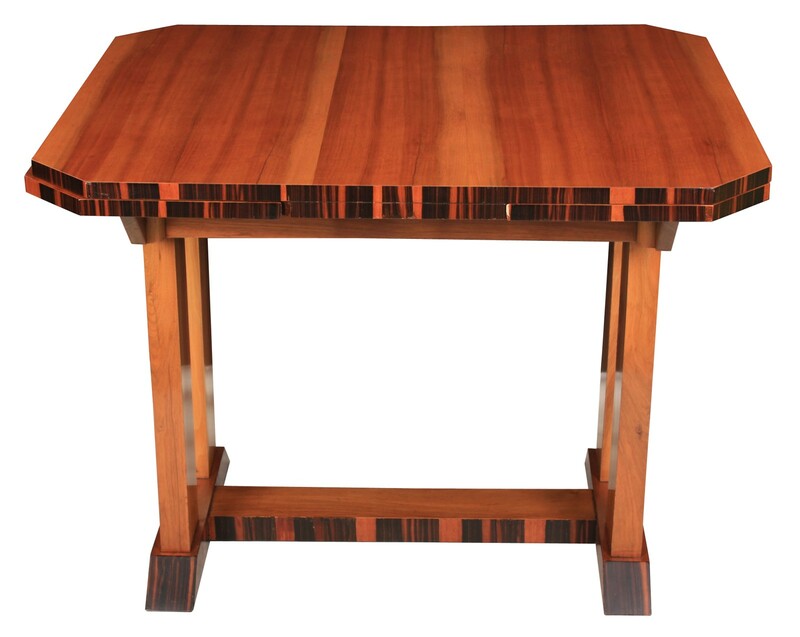 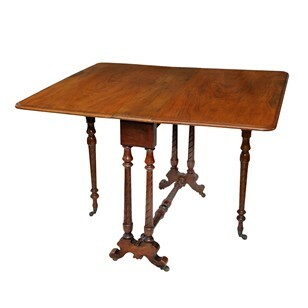 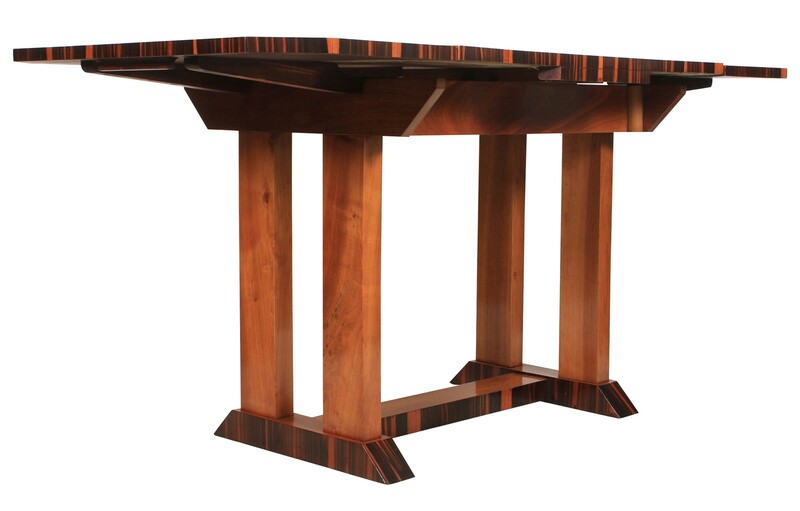 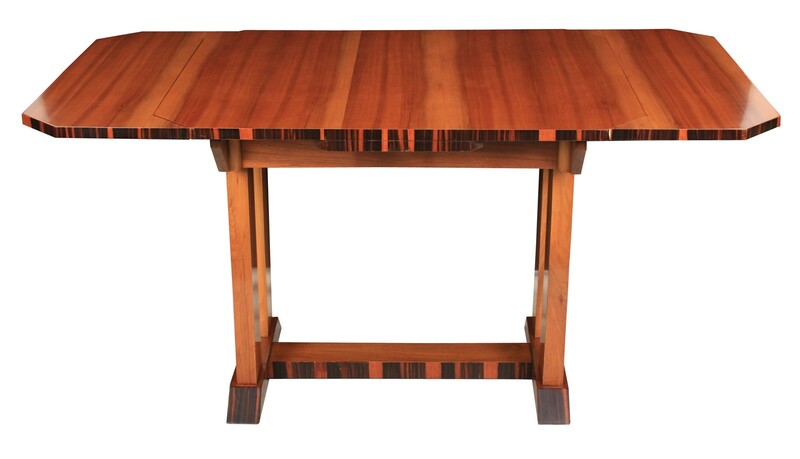 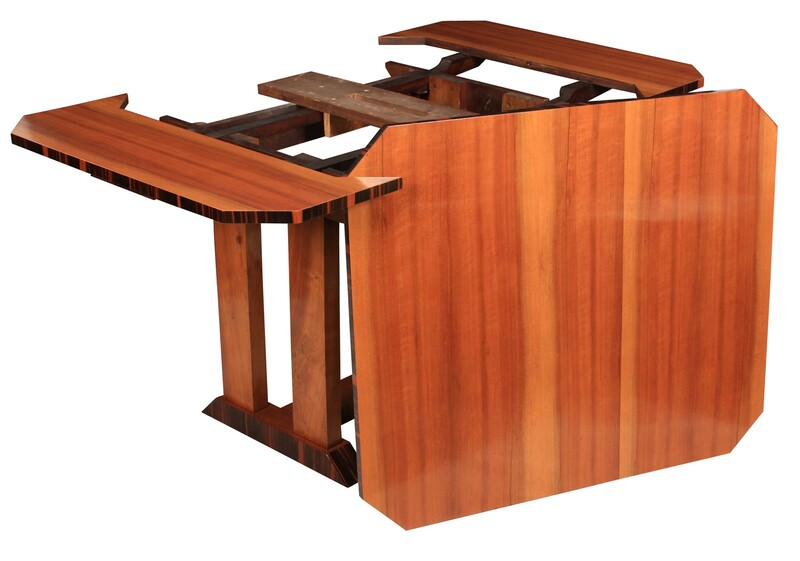 A great Art Deco dining table in showroom condition. 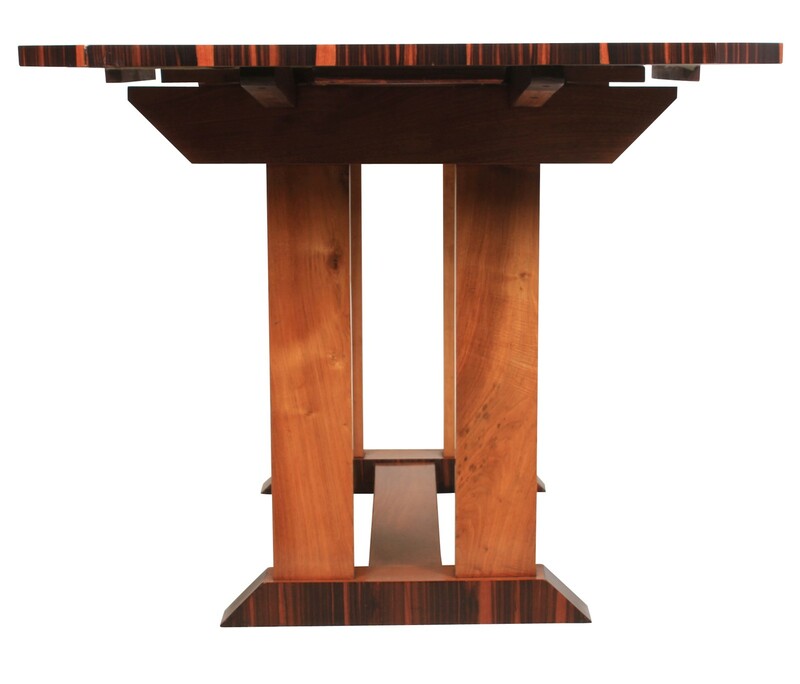 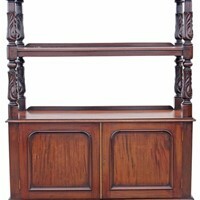 Stunning walnut top with coromandel edges and cut off corners. 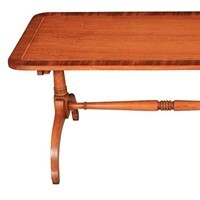 This table can be extended to seat more people with a smooth draw leaf action.